Sometimes I think I'm more interested in the business of television than the product itself. When I started watching Chuck, I became obsessed with ratings, development season and pilots, upfronts, scheduling and the whole she-bang. It's just fascinating to me, so I've decided to jot down some thoughts on the behind the scenes aspects of TV as we get closer to upfronts. Now, I'm by no means an expert, merely a fan, so don't take anything I write seriously and understand that this is more for my enjoyment than anything. Since we're a month a way, I thought it'd be fun to be an armchair programmer over the next couple of days so I can pretend that I know a lick about the television business. First up, I'm going to share which shows have been picked-up, which ones might be renewed or canceled, and which pilots could be sent to series. It's going to be a lot of work, but it should be a good time, so I hope readers enjoy what I put together. I figured kicking off this series with ABC made the most sense, so here we go. Really, ABC didn't have a horrible year since it had one of the few successful new dramas of the season in Once Upon a Time. It's just too bad most of the Alphabet's other new dramas didn't gain any traction, although the jury's still out on GCB and Scandal. Comedy wise ABC's fine, and it might be the strongest network of the bunch, but it still needs to find a fourth show for its Wednesday night line-up. I don't expect ABC to wipe the slate clean, but it's definitely going to have some large holes to fill. While it's near impossible to know which pilots are going to picked up, you can make guesses based on the network's brand and needs. That being said, on the comedy side I could see the following shows going to series: Counter Culture, The Family Trap, How to Live with Your Parents For the Rest of Your Life, Malibu Country, The Smart One. On the drama side: 666 Park Avenue, Beauty and the Beast, Devious Maids, The Gilded Lilys, Gotham, Last Resort, Mistresses, Nashville, Scruples. Beauty and the Beast seems like a natural fit with Once Upon a Time since ABC's in the fairy tale business now, and GCB has seen modest numbers but isn't established enough yet to be shifted around the schedule. This combination gives Beast a little cushion, allows Once to take centerstage and let's GCB grow. Castle is by far my favorite show on ABC, but even I've been shocked that it's been given four straight seasons behind Dancing with the Stars and The Bachelor. I don't see ABC moving its flagship reality shows, but I do see them trying out a different show at the 10 o'clock hour. I couldn't decide between The Gilded Lilys, Mistresses or Scruples but I'd bet on of the three since they line up with the more female skewing DWTS and Bachelor. ABC tried out a new comedy block this season with the combination of Last Man Standing and Cougar Town, and while it wasn't as successful as they would've liked I could see them bringing it back. I don't see CT coming back though, and putting Apt. 23 with Happy Endings makes sense but the time slot are problematic since the subject matter of both shows would be better suited for a later start time. The Tuesday 10pm slot has been a black hole for some time now, so why not try putting one of the most established shows there to see if it can be saved, hence Castle being shifted by a day. Wednesday nights are by far the most stable for ABC, so why change things up too much? History has shown that Modern Family could be an effective lead in, but it's been squandered on incompatible shows like Cougar Town and Happy Endings (too soon to tell about Apt. 23). Suburgartory's been a nice surprise, so why not reward it by putting it behind MF. That leaves the 8:30 spot open for a new sitcom, and I could see either the Mandy Moore led The Family Trap or Sarah Chalke's How to Live With Your Parents filling it since they're both family oriented like the rest of the night. They might even do a timeshare like HE and Apt. 23. Revenge's been doing fine where it is so leave it be. Another black hole on ABC's schedule has been the Thursday at 8pm slot, so we're definitely going to be seeing a new show in that space. 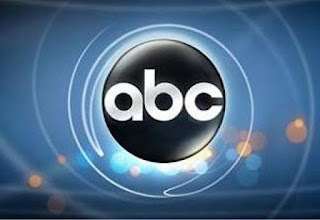 With the relative success of Glee and Smash, I could see ABC jumping on the musical bandwagon by picking up Nashville. Putting it in the 8pm spot could be risky since it will more than likely be going up against X-Factor/American Idol, but its focuses on country music could be a blessing. Grey's stays put as does Private Practice if it's renewed. I still want ABC to bring back TGIF and revive the traditional, multi-cam, family sitcom. They already have Last Man Standing which could anchor the night, and they do have a few shows that could fit the new TGIF mold. I know that this move would be a long shot, but it could be a success if the rest of the networks keep their genre fare for Friday nights. Please note that these are just predictions and are shouldn't be taken as fact ... unless I'm right. Next up, I'll take a stab at CBS.